The article has provided an in-depth overview about the corporate ethical issue that the organization like Barclays had to face due to severe technological barrier. It is undeniable that Barclays is one of the most recognizable British multinational investment banks occupying prestigious place in the market of London. This organization primarily deals with the services like personal banking, corporate banking, wealth management and investment management. Headquarter in London this financial institution is extremely advanced in information technology. Customers by accessing net banking services can easily conduct their banking activities without travelling to banks. However, on September 20th of 2018 this particular organization had suffered a technological glitch which reflects on using effective services from customers. The problem raised on Thursday from 10.45 to evening 5pm. As a result, the customers were unable to access the services for the entire day almost. At that very specific time, the bank’s website was not working properly so that customers can get necessary updates from the website. Anger and impatience rose among the customers for being unable to access net banking services. In this kind of situation, it is alleged that the bank authority did not take any effort in communicating with the customers properly. In addition, after resuming the services the bank authority did not give detailed information about this technological crisis. Customers accused that bank did not take any attempt in communicating with them through media. They have just put information on their website by saying “we’re sorry if you’re unable to access online banking, telephone banking, or use some parts of our app. You can still check your balance and use most features in the app” (theguardian.com 2018).As per the allegation from customers this kind of poor customer service and indifferent attitude towards the stakeholders made them reluctant in purchasing financial services from Barclays. While summarizing the entire argument from customers’ end as well as from the end of Barclays it can be evaluated that the organization should have a corporate social responsibility while running a financial institution in the market of London. Maintaining effective communication with the customers is a part of their social responsibility as the profitability of business is highly dependent on customers (Michaelson et al. 2014). Technological barrier is an unpredictable situation that any business organization can face while providing services (Boatright 2017). That part is not considered under ethical issue. The initiative that the organization could have taken to resolve the issue was to arrange a press conference for describing the overall scenario. As a result, the customers could have showed their positive approach towards this crisis. After facing this static situation the organization decided to have proper communication with the stakeholders so that their situation can be convinced and described in a proper way. They has statured the incident as IT disaster and technological glitch. However, by arranging a press conference regarding the current situation the business analysis authority should invite the stakeholders all together so that they can give a proper justification. In addition, the organization has decided to render additional facilities and service procedures so that customers can complete their pending activities by sitting at their own workplace. While communicating with the customers the organizational experts of Barclays have used multi-lingual communication so that people having linguistic barrier can also interact with the experts. However, this very specific article has evaluated the ethical considerations that Barclays have refused to follow towards service users. Ethical decision making process implies that organization should deal with the crisis or crucial situation with proper values and ethics (Zheng, Luo and Wang 2014). As a result, the service users do not have to face any trust issue on the business authority. In case of Barclays, it is observed that management has faced a severe ethical issue due to the lack of proper communication with the stakeholders regarding technological glitch. However, this specific issue has affected business image and reputation on the mind of customers. The management has lost customer loyalty. If the organization has to overcome this situation the business experts would have to make proper and systematic communication with the stakeholders. As a result, both the experts and the service users can make an interaction that can resolve their issues. The study has analyzed from the article corporate ethical issue that the organization like Barclays had to face due to severe technological barrier. On September of 20th of 2018 customers were unable to access the services for the entire day almost. Customers accused that bank did not take any attempt in communicating with them through media. The article has argued that technological barrier is an unpredictable situation that any business organization can face while providing services. At the same time, it cannot be denied that the initiative that the organization could have taken to resolve the issue was to arrange a press conference for describing the overall scenario. As per the identified ethical issue it is identified that the service providers have not maintained transparent communication with the service users so that customer can retain their trust on bank authority. From this incident mentioned in this article the organization has faced challenges in maintaining their business image and glory as a financial service provider. 1. Boatright, J.R., 2017. Ethics and corporate governance: Justifying the role of shareholder. The Blackwell Guide to Business Ethics, pp.38-60. 3. Hoffman, W.M., Frederick, R.E. and Schwartz, M.S. eds., 2014. Business ethics: Readings and cases in corporate morality. John Wiley & Sons. 4. Michaelson, C., Pratt, M.G., Grant, A.M. and Dunn, C.P., 2014. 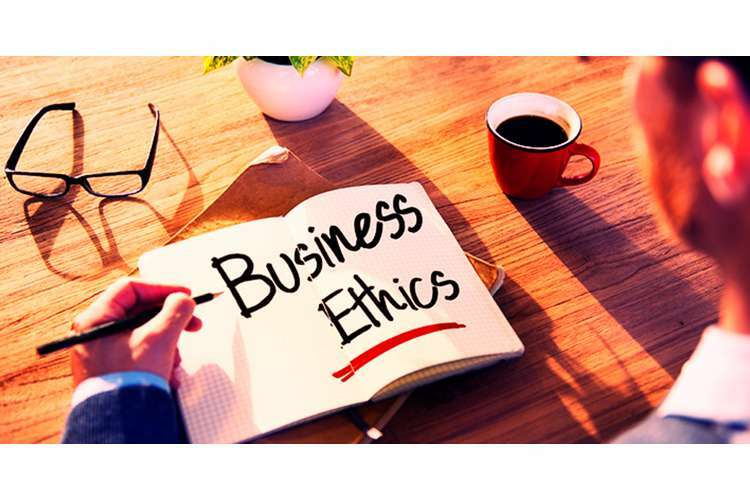 Meaningful work: Connecting business ethics and organization studies. Journal of Business Ethics, 121(1), pp.77-90. 5. Pearson, R., 2017. Business ethics as communication ethics: Public relations practice and the idea of dialogue. In Public relations theory (pp. 111-131). Routledge. 7. Weiss, J.W., 2014. Business ethics: A stakeholder and issues management approach. Berrett-Koehler Publishers. 8. Zheng, Q., Luo, Y. and Wang, S.L., 2014. Moral degradation, business ethics, and corporate social responsibility in a transitional economy. Journal of Business Ethics, 120(3), pp.405-421.